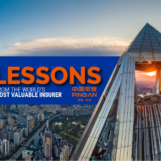 One of the key identifying features of cryptocurrency now is its volatility, with coins rising and falling seemingly at the drop of a hat, and a market that shifts and ebbs sometimes hourly. It would, therefore, take a brave person to create a board game based on cryptocurrency. 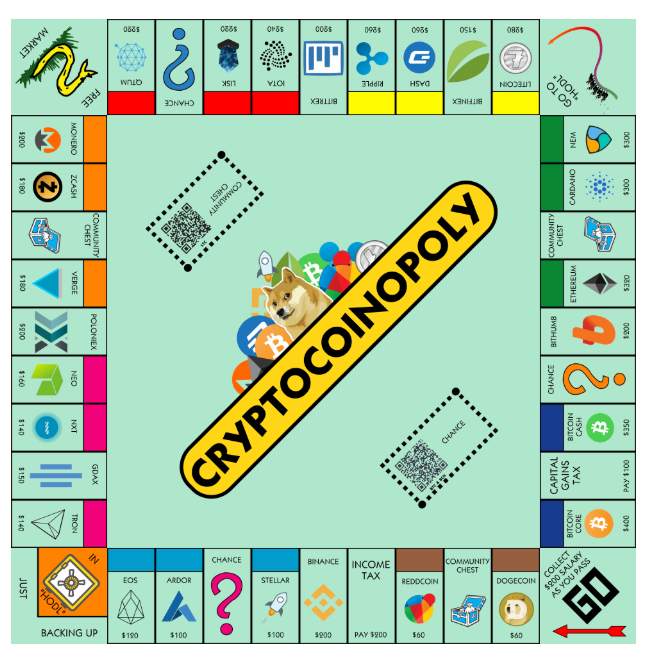 Well, introducing Reddit user ronoxe, and their free-to-download board game Cryptocoinopoly. According to the GitHub page, Cryptocoinopoly is a cryptocurrency trading game. All players start out with an amount of fiat currency, and they use it to drive everyone else to bankruptcy and centralise all the wealth into your own hands. To play, users can download the board and all of its accompanying cards for free, print it, and cut it according to its designated functions. The game works better for those who already own a Monopoly set, as they can simply reuse tokens from their existing game on this new board . Ironically, all of the value is traded against USD. 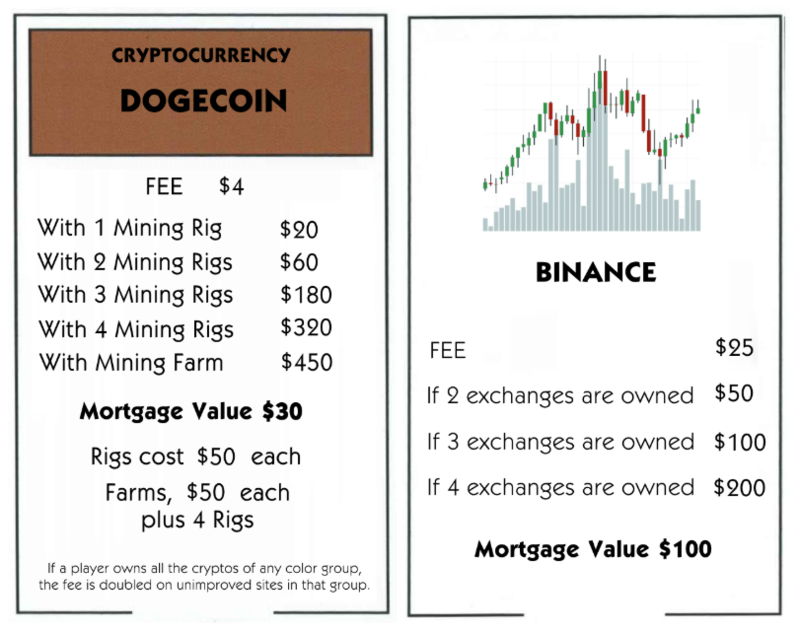 And while cryptocurrency’s values are often volatile, the board game provides a consistent, unchanging value of all the cryptocurrency that was hot at the time. Perhaps to a certain extent, this game provides an interesting snapshot of the cryptocurrency scene at the time. But it also highlights how different cryptocurrencies are compared to the usual market that the Monopoly game was based on. And perhaps, also highlights the possibility of developing a game with completely different parameters that better reflects the ever-changing cryptocurrency market conditions. The cards are different too. 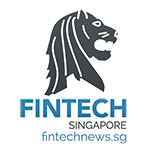 For now though, Cryptocoinopoly provides a fun way for crypto enthusiasts to play a simplified version of the crypto market with other enthusiasts, or friends and family. It could be a great way to open up discussions of how the scene is different now, (“I can’t believe they included Monero.”) (“How are there only Bittrex and Binance on this board?”) or simply gain that temporary high of strategising your way into dominating the cryptocurrency market. Or it could be a method of identifying the ruthless traders who will do anything to get ahead of the game. Despite bitcoin’s rapid crash in value earlier this year, we hope that the existence of Cryptocoinopoly will be the dawn of more cryptocurrency-based games in the future. While not quite a perfect adaptation, Cryptocoinopoly’s ruthless gameplay proves a great spiritual manifestation of the current market conditions. However, in a market as nascent, speculative and volatile as cryptocurrency, we know that there has to be a better, more ruthless game in the works. And we can’t wait. To download the game, you can check out the GitHub page here.